Marg, originally from Scotland, & Fred, originally from Ireland, but who are now very proud Australians (scozys) are Brassick. They are a very popular duo who currently enjoy performing in & around the Central Coast, The Hunter Valley, Newcastle, Bathurst,Sydney & any where there is the chance of a party. 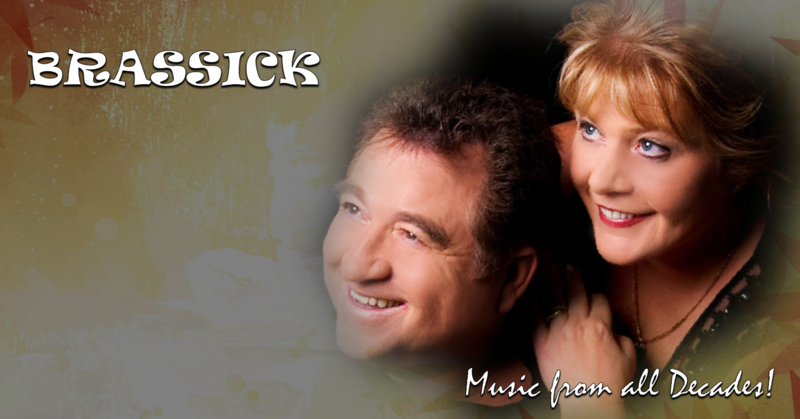 Brassick deliver a versatile repertoire & they them selves enjoying a vast range of music which keeps their show lively, fresh & fun. They cover music from the 1940s through to todays hits, giving a little bit of something for everyone. We love audience participation & love our audience to leave our party with heaps of great memories. With their background & knowledge of Scottish & Irish music, they have developed a unique style of harmonies that not only sound great, but is equally appreciated by their peers. Brassick are not suited to Wakes (although love a pint) or Barmitsvas (to close to the cutting edge).It gives us great pleasure to direct you to Paul & his team at Whirlwind Entertainment who will be only too happy to consult with you in arranging a booking for a great night with Brassick.